processes of actions initiated by RAHAMA in consent of Government authorities. To access information on how women at global level celebrate Women’s Day programme was one other key aspect accomplished. By more than 300 women participated in the programme held in the District of Kilinochchi and Mullaithivu districts. Broader perspectives of Women’s day were focused in. a series of events conducted in several locations with the initiatives of RAHAMA women at global level celebrate Women’s Day programme were the key areas accomplished. 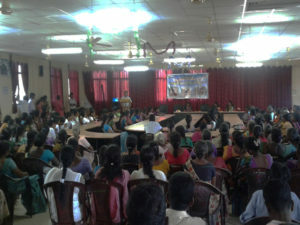 More than 300 women participated in the programme held in the District of Kilinochchi.